Taking the field with Paris Saint-Germain F.C. Born & Bred was hired by Rise & Set Agency to work with Hublot to ideate a brand activation for one of Europe’s most renowned football clubs to debut the team’s custom Hublot Big Bang Unico Bi-Retrograde and to celebrate their American summer tour. Held atop the historic Rockefeller Center in a private rooftop garden, the launch was designed to combine New York flair with a touch of Paris. And to bring it all to life, Born & Bred hired NYC-born and French-resident artist Jon-One to do a live painting installation. 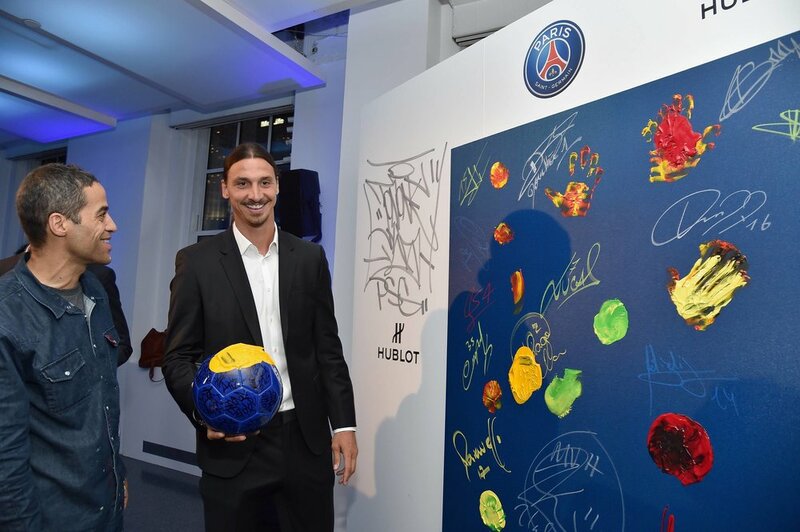 Paris Saint-Germain players took part in the painting and the event was accompanied by music from French DJ Olivier Meiji and dessert from cult pastry chef Dominique Ansel.